A mud volcano located in 15 km south-east of Baku on the shore of the Caspian Sea oil field, erupted on Tuesday morning. Called Lokbatan, the mud volcano was revealed in 1810 and is one of the world's 5 most active volcanoes. The volcano is a world record holder with 25 eruptions recorded so far. The Republican Seismic Survey Center of Azerbaijan National Academy of Sciences (ANAS) reported that the volcano erupted at 07:55:51 local time. A depth of the volcano was at 4 km, while the eruption lasted for 4 minutes: “Tremors were recorded before and after volcano”. Earlier, the Otman Bozdag volcano erupted in the suburb of Baku on February 6. Azerbaijan is a world leader, not only for the number but also for the activity of its volcanoes. Roughly 350 out of over 1000 mud volcanoes in the world are located here. 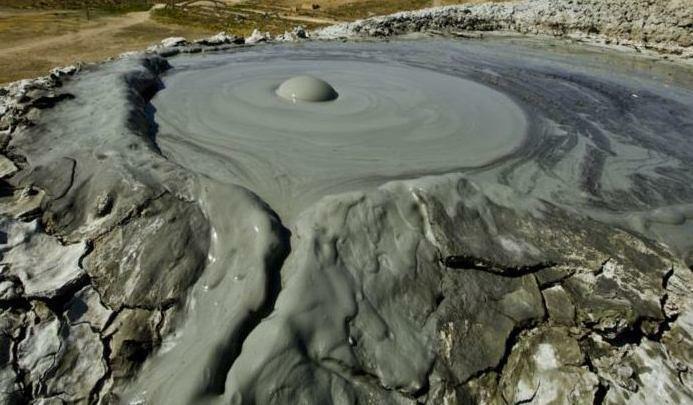 Azerbaijan's mud volcanoes definitely should be part of any tourist's itinerary. Most are located on Absheron, around Baku. There are 100 near the Gobustan Reserve alone. There are another 200 on the islands of the Baku archipelago and in Shamakhi and Shirvan regions, two hours’ drive from Baku.